Dritz-Flower Sew On Magnetic Snap: Antique Brass. This snap provides a closure for the top opening and side flaps on purses, bags and totes! 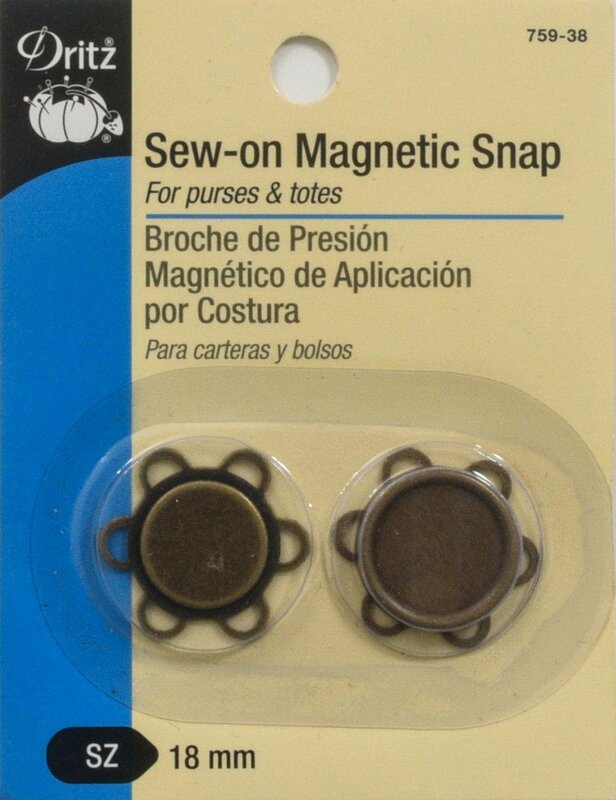 This package contains one 18mm sew-on magnetic snap.